Beautiful new construction colonial on giant level lot. Open kitchen, wrap around front porch with screened back porch, and secondary master suite on main floor perfect for long term guests. Finished basement includes open play area plus bedroom and full bath. Two car attached garage plus 1 car parking pad. Two sets of master closets, open landings, and large home office space not included in the bedroom count. 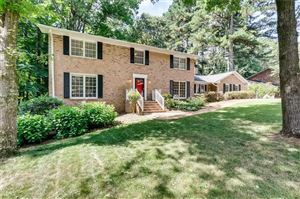 Perfectly located in City of Decatur schools with short commute to Midtown, GT, Emory, CDC, I-75/85/285. Private fenced backyard of this size hard to find! Data last updated: 4/21/19 4:13 PM PDT.